Home entertaining is all the rage these days. More folks are choosing to stay home rather than go out because not only is it an economical way of maintaining an enjoyable lifestyle, but it’s considered a much safer way to socialize. It’s important to mention as well that some people find home entertaining a fabulous opportunity to improve themselves. They learn to host get-togethers, decorate their home, and cook food that everybody enjoys, like a boss. More importantly, they learn that there’s no shortage of ideas to explore to make gatherings as enjoyable for everyone as possible. If you’re a homeowner and you’re renovating your house to make home life more satisfying for the family, it’s imperative to study various home designs that are intended for entertaining. Here are some great design ideas to consider. These rooms implement the principle of traditional Japanese homes wherein the size of rooms can be changed with the help of folding/slide-away or removable door panels. 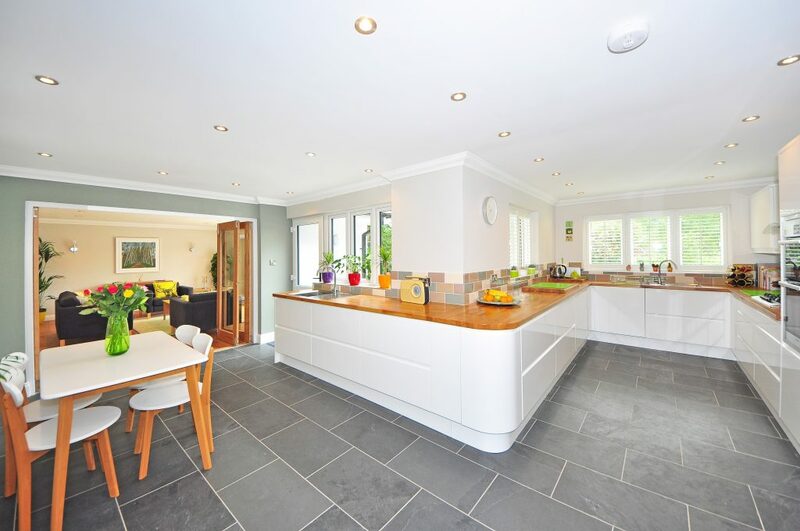 What makes this design perfect for entertaining is the way it gets rid of dividers that prevent everybody from easily mingling with each other. Another advantage to this home design idea, luxury home builders say, is that it can improve illumination and ventilation. Your home won’t feel stuffy even when you have a lot of guests inside. There are many options for doors to use in order to create transformable rooms. Some of the best to use are sliding doors with wooden door frames. These do not only have a luxurious appearance but are also durable, convenient and eco-friendly. This is not a novel design idea, but if your home’s old kitchen was in a separate room, consider having your new one made to open directly into the dining room or your TV den. The beauty of this design is it creates a smooth flow of activities. There’s easier access to food and there can be an interaction of activities from the den or dining room to the kitchen, or the other way around. Outdoor entertaining has a unique charm. If you have an outdoor room such as a porch or patio, you can take advantage of a great-weather day to gather the people you love together for some snacks or barbecue and make it even more enjoyable designed around a swimming pool. To make the outdoor room a lovely place to entertain, think carefully about the materials to use. If you want to create a nice flow from the indoors to the outdoors, make sure to pull in colors and textures from your home’s interior design and architecture. This will create a seamless transition from the indoors to out, according to trusted custom home builders. Do take into account the elements that your outdoor room is exposed to as well. Invest in wood and metal that are easy to clean and will hold up no matter how crazy the weather outside gets. This can be as basic as a portable grill on one side of your patio or an elaborate food station that a bigger budget can allow. If you don’t mind increasing the budget for your outdoor kitchen, you can have the grilling islands designed to have everything from storage space to refrigeration, as well as sinks and pizza ovens. If you want, you can even have a TV installed. To deck out your outdoor kitchen, have a thorough consultation with your builder. There are restrictions and codes to uphold pertaining to the use of open flames, or requirements for natural gas lines. There are many ways to get really creative with a bar and one excellent popular design idea is to install it outside, just right by the kitchen window. This makes serving drinks a breeze. 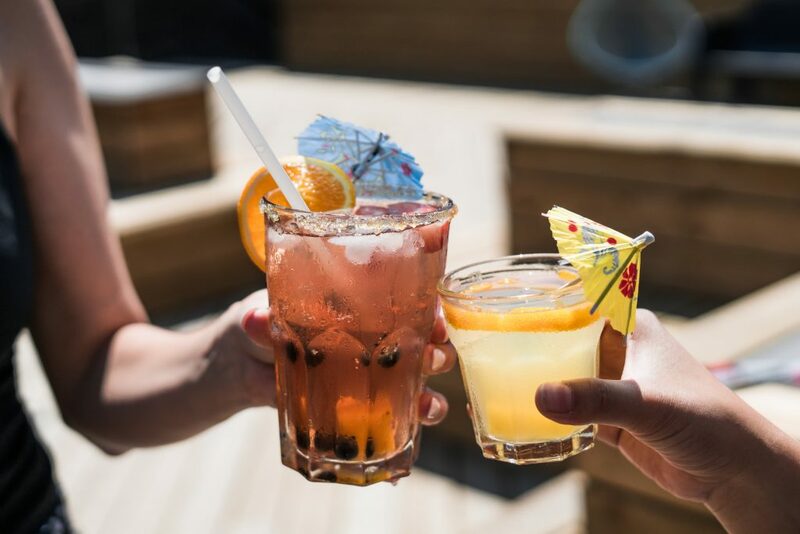 No need to use a cooler to store drinks outdoors because everything you need for refreshing beverages can come straight from the fridge in the kitchen. Builders also point out that the nice thing about this outdoor bar design is that it can make kitchen chores more enjoyable. With the kitchen opening up directly to where guests are hanging out, it’s easy to have conversations with guests while also taking care of the dishes or getting the spread ready for the party. All these home design ideas for entertaining are not just passing fads, so you can be certain that all of these will help improve the quality of life at home and are worthy investments to make.